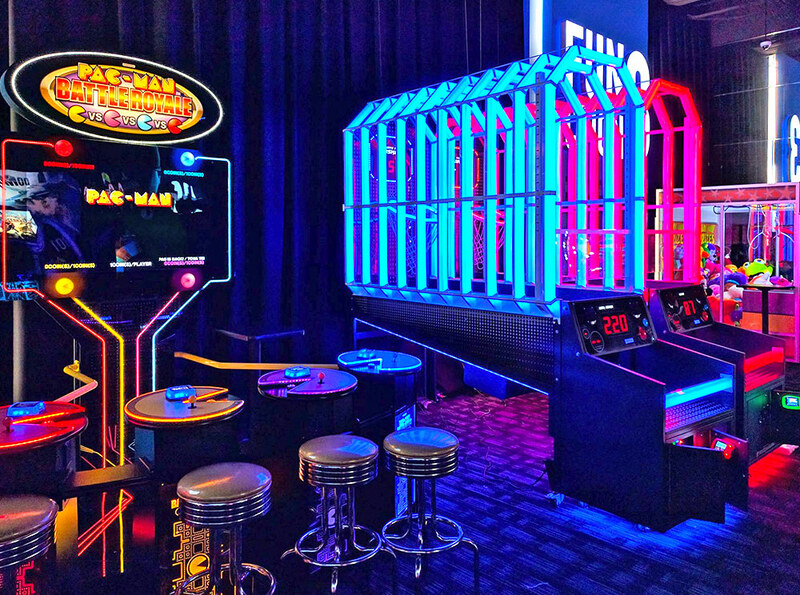 A breathtaking new take on the classic arcade basketball game. 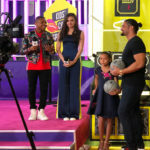 Hyper Shoot Basketball Arcade Game – LAI Games took the traditional basketball arcade game, reinvented it and turned it into a unique, fun, futuristic hyper-modern basketball game. 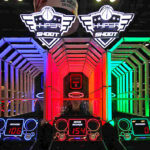 Hyper Shoot Basketball Arcade Game for rent is an ultramodern innovative, colorful and eye-catching basketball game. 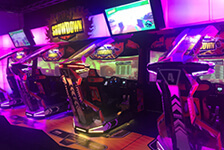 The game has the look and feel of the traditional basketball arcade game. With added super cool features like the “LED Light Tunnel”, unique lighting effects. A LED lit tilted basketball hoop and real time sports commentary. 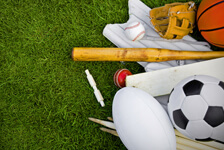 The game creates a rewarding and innovative experience for the players. 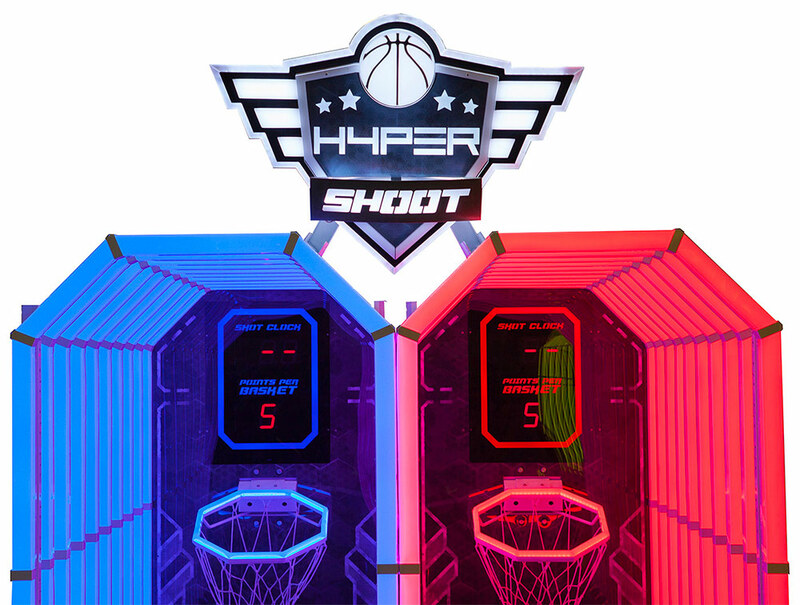 These innovative features of the Hyper Shoot Basketball Arcade Game make the game gratifying with amazing visual experience for the guests. 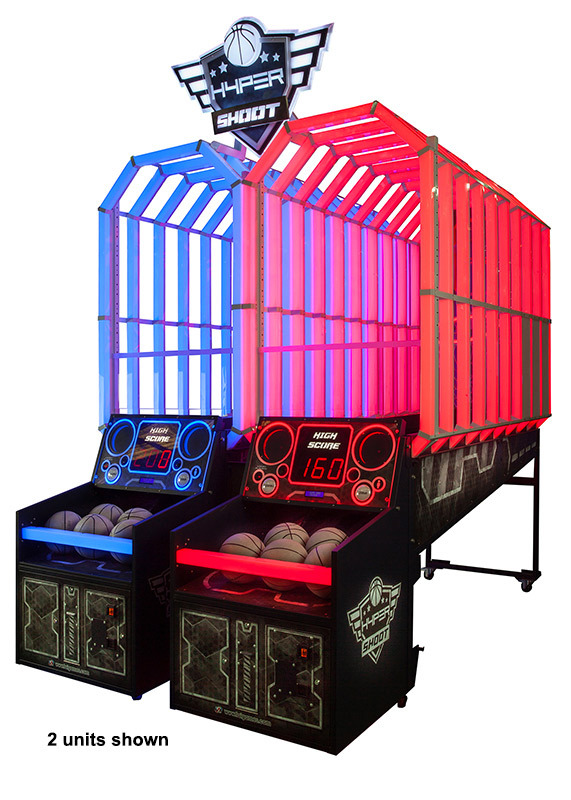 This brand new basketball game with its attractive display of bright colorful LED lights will stand out in any venue. 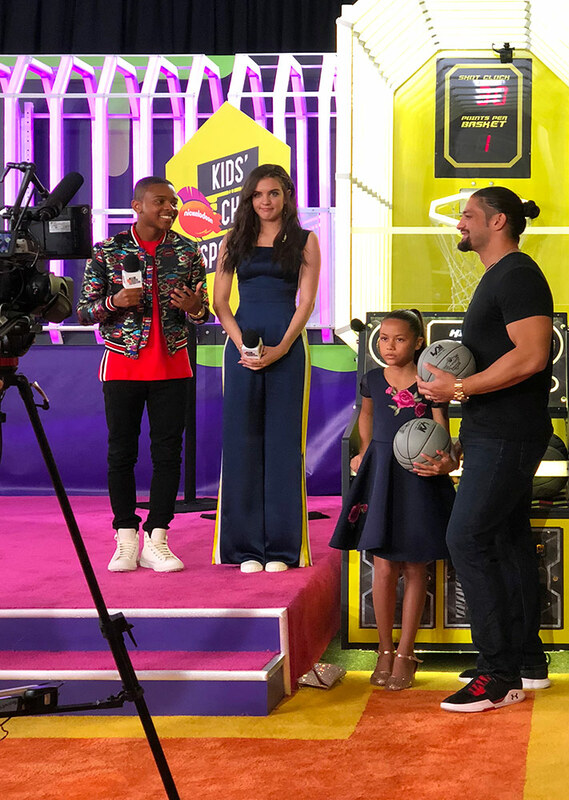 The guests just can’t walk past the rented Hyper Shoot Basketball Arcade Game without shooting a few baskets. 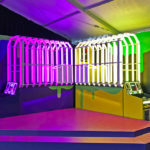 The main feature of the game is the interactive LED Light Tunnel. The LED Light Tunnel tracks the ball in flight like the streak of a comet trail. 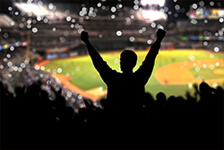 A sports announcer accompanies the play with a live commentary. The standard basketball hoop is replaced with a slightly oversized, tilted LED lit hoop. This makes the game easier to play. 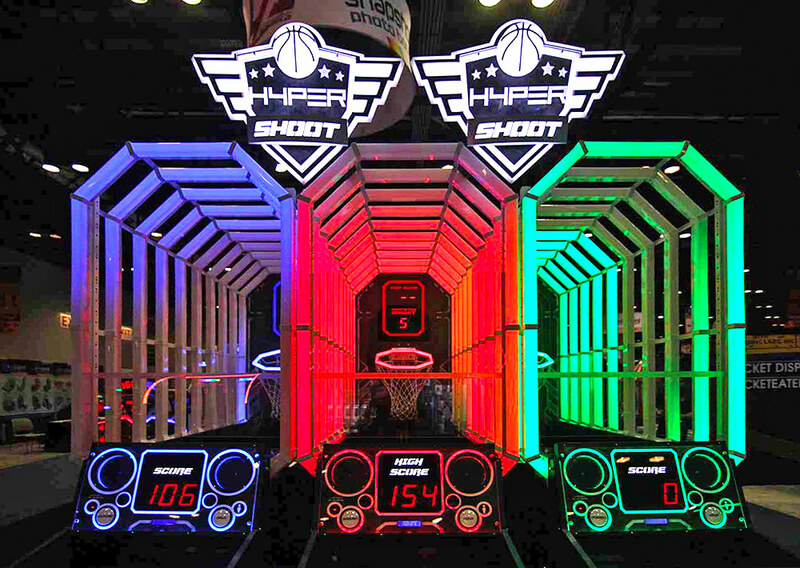 When the player is on a streak, the LED hoop powers up and the more points are earned per basket. 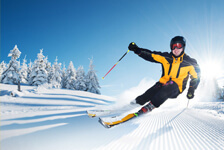 Scoring in quick succession will earn the player extra points. 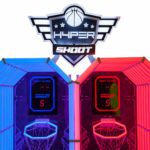 All the added features of the Hyper Shoot Basketball Arcade Game will intensify the fun and the competitiveness of the game play for the guests. 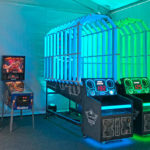 Up to 8 Hyper Shoot Basketball Arcade Games for rent can be linked for fast multiplayer competitive action. 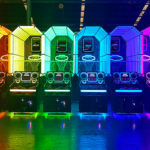 The games feature bright colorful interactive LED Light Tunnel with adjustable lights. 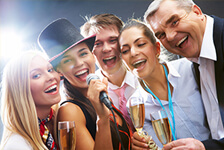 The lights can be lit to match the color scheme of the event or matching the corporate colors of the client. 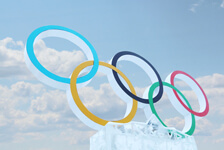 The following choice of colors are available for each game. 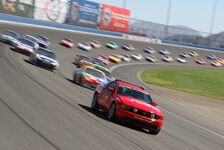 Hotrod Red, Atomic Tangerine, Un-Mellow Yellow, Cyber Green, Baby Blue, Electric Blue, Periwinkle Purple and Hot Pink. 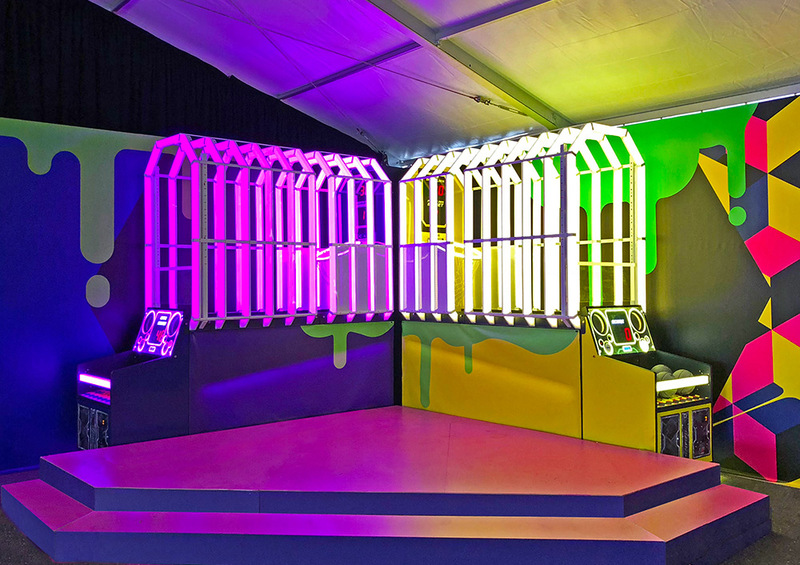 With every rented pair of Hyper Shoot Basketball Arcade Game we offer an overhead lit marquee sign. Ceiling height permitting. 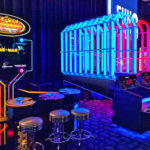 Video Amusement specializes in customization and branding of rented Hyper Shoot Basketball Arcade Games. The favorite options are NBA and NAACP logos of your chosen basketball team, your company logo or custom graphics. Cabinet branding makes your company stand out and helps relate you corporate message. Please call us for more information about this optional feature. 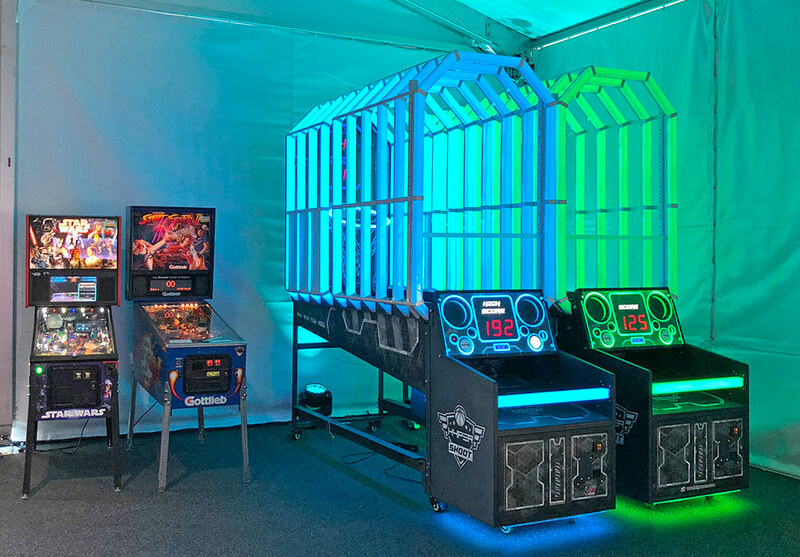 Video Amusement delivers rented Hyper Shoot Basketball Arcade Games rentals in California. San Francisco, San Jose, Santa Clara, Santa Cruz, Palo Alto. Monterey, Sacramento, Los Angeles, San Diego, Silicon Valley, East Bay, Central Coast and Bay Area cities. 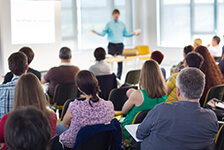 We cover Northern and Southern California, Nevada and all the Western States. We have multiple units in stock and ready for your guests to enjoy.